UDM Downloads > PaintShop Photo Pro! 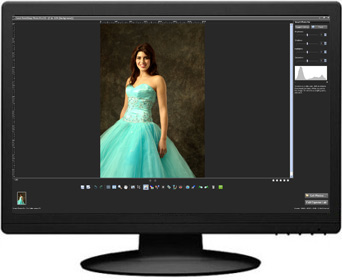 Corel PaintShop Photo Pro X3 gives you the power to easily organize, edit and share professional-quality photos. It's powerful photo software that combines photo organization, single and multi-photo editing, creative projects, sharing and now simple HD video projects. Accelerate the way you download, organize, and rate with new photo management tools. Make automatic photo enhancements in the Enhanced Express Lab, or go deep with a full set of advanced editing capabilities. Create amazing photo books and projects, upload to Flickr or Facebook, print or share by email. Now your entire photo workflow is available in one high-performance package.